Showy hybrid, dedicated to the active volcano of Hawaii. Leaves are curved and curly, with lots of warty bumps. Rosettes reach 35-45 cm in diameter. Incredible colours ranging from orange to pink or yellow. Older leaves turn bright red! Mauna Loa is one of the Echeveria hybrids produced by Jim Wright in his ‘volcano series'. 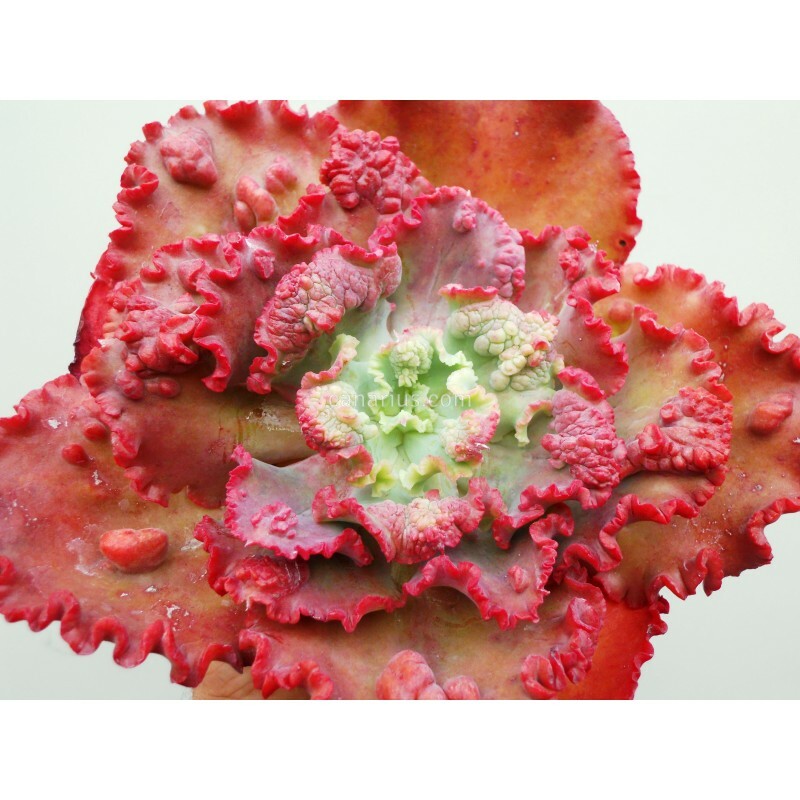 Echeveria hybrids are some of the most colourful rosette-succulents. They are very easy to grow and perfect in pots of 12-16 cm. Place them in full full sun for better colour but let them enjoy some partial shade in Summer. Water sparingly throughout the year and keep a bit drier in winter. Use a well-drained soil and fertilize occasionally during the warmer months. 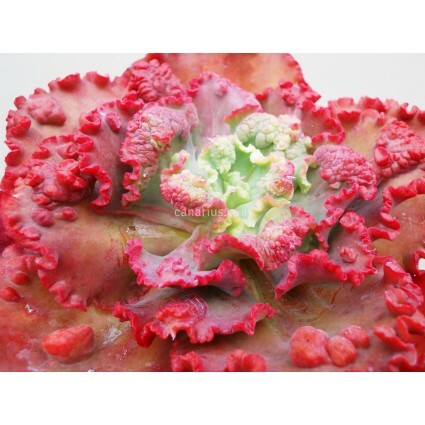 Hybrids are usually hardy to about 0 C but do better if protected from frost. Most Echeveria hybrids will eventually grow a stem. 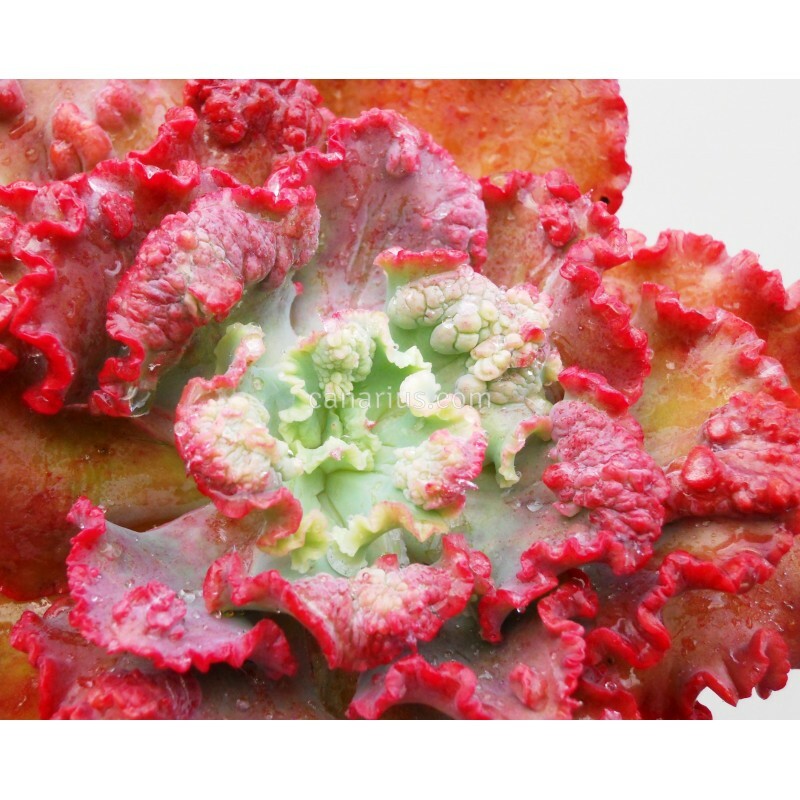 After a few years, rosettes tend to become older and smaller, so plants should be "deheaded", and replanted every 3 to 4 years.